In the Corneal Cell Biology Laboratory, the Funderburghs’ research focuses on the cornea, an organ that provides a visual portal to the world. A transparent outer layer that covers the iris and pupil, it’s responsible for helping the eye focus by bending, or refracting, light. The connective tissue of the cornea is extremely tough and transparent to light. It also presents a significant biological barrier to infection. In millions of individuals, worldwide, however the cornea has lost its transparency due to disease or trauma. Corneal scarring can disrupt vision permanently. The team’s work focuses on the biological processes that produce and maintain the unique connective tissue of the cornea as well as the pathological changes that occur during scarring. These involve studies of extracellular matrix molecules and how they influence cell behavior. In the lab, work extends to studies designed to reverse the scarring process or replace scarred cornea with bioengineered cornea tissue. Over the past few years the researchers have explored the use of stem cells to restore corneal transparency. Using nanofiber scaffolding they found that stem cells produce a tissue identical to that of the transparent tissue of the cornea. They are developing this material to serve as replacement of corneal tissue in scarred eyes. In addition, the team has found that adult stem cells induce regeneration of corneal tissue, removing pathological tissue and replacing it with organized transparent new tissue. These adult cells can be obtained autologously, allowing individuals to be treated with their own cells. The lab is actively investigating the mechanism by which adult stem cells induce tissue regeneration and is developing an approach to clinical trials for using corneal stem cells to treat blindness. It was in 2002, during a McGowan Institute seminar, the scientists learned that most tissues in the body harbor stem cells. A eureka moment! “We could grow these stem cells and then convert them into corneal cells,” Dr. Funderburgh remembers realizing. Today, the researchers are exploring options of using either the stem cells or the products made by the cells in clinical trials in the United States. Though the process is slow and expensive, Dr. Funderburgh is hopeful that they could have a product ready for initial clinical trials within the next two years. Illustration: Tom Altany/Pitt Visual Services. You’ll receive 25% off Jones Silver Stain in August when you mention this ad. Contact Lori at the McGowan Core Histology Lab and ask about our staining specials. Email perezl@upmc.edu or call 412-624-5265. 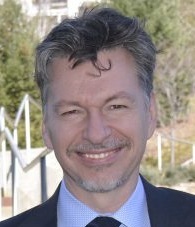 As highlighted in the June 1, 2018 edition of UMPC Next, the McGowan Institute for Regenerative Medicine has that type of environment and how that came to be is explained by Deputy Director Stephen Badylak, DVM, PhD, MD, Professor in the Department of Surgery and Director of the Center for Pre-Clinical Tissue Engineering within the McGowan Institute. Leading the charge on this groundbreaking project is McGowan Institute for Regenerative Medicine affiliated faculty member and principal investigator Rocky Tuan, PhD, director of the Center for Cellular and Molecular Engineering in the Department of Orthopaedic Surgery at the University of Pittsburgh and a fellow of the National Academy of Inventors. He is also vice chancellor and president of the Chinese University of Hong Kong. He and his collaborators at Stanford University and Tulane University were recently awarded $1.75 million from the National Institutes of Health for their work, which has already shown incredible promise. The microJoint is composed of human tissues, constructed in the laboratory and grown as microscale structures – usually referred to as tissue chips – and generated using three key components: adult mesenchymal stem cells as the cell source, biological factors to facilitate growth, and a light-polymerized gel that acts as a scaffold. Engineered cartilage serves as the centerpiece of the model, sitting in a small cylindrical chamber within a microbioreactor built by Dr. Tuan’s team using 3D printing. The cartilage is connected to a series of similar chambers that house the key elements of the microJoint — including the synovium, macrophages, and an infrapatellar fat pad — by a precisely calibrated set of microtubes containing synovial fluid and other tissue fluids. The model may not look much like a human joint, but physical appearances aside, it is nearly identical. Dr. Tuan and his team believe the microJoint could usher in the development of a new wave of effective, permanent treatments, in some cases even replacing options like opioid prescriptions and joint replacements. Osteoarthritis is a leading cause of disability all around the world. It affects nearly one in six people in the United States, where more than $125 billion goes toward treatments to reduce pain or delay additional treatment. There is no cure; osteoarthritis is not preventable, and we are not sure what causes it to develop. McGowan Institute for Regenerative Medicine affiliated faculty member Shilpa Sant, PhD, Assistant Professor of Pharmaceutical Sciences, has received a 7-year R37 MERIT Award from the National Cancer Institute (NCI), NIH, for her project entitled, “Three-dimensional organoid models to study breast cancer progression.” This grant is funded by the NCI under the Cancer Tissue Engineering Collaborative (TEC) Research Program that aims to support the development and characterization of state-of-the-art biomimetic tissue-engineered technologies for cancer research. The total funding for the first 5 years is $2.7 million. The funded proposal aims to develop a three-dimensional in vitro organoid model that recapitulates key hallmarks of progression of non-invasive breast cancer to invasive disease. The goal is to discover key hypoxia-induced factors involved in initiation, maintenance, and spatial distribution of invasive breast cancer cells using 3D tumor organoid model and computational modeling approaches. Specifically, the proposal will use integrated experimental and computational approaches, coupled with deep learning-based image analysis, to delineate how hypoxia, tumor secretome, and intracellular signaling networks work together to induce the migratory phenotype and drive progression to invasive disease. What causes some non-invasive breast cancer cells to become migratory and develop into invasive tumors? How and where does the migratory phenotype emerge? The mechanistic understanding gained from these studies will improve diagnosis, prevent patient overtreatment, and lead to the development of treatment strategies to arrest invasion at the pre-invasive stage. 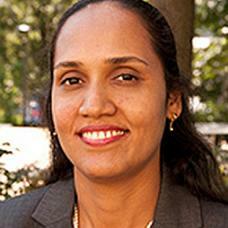 Dr. Sant also holds appointments in the Department of Bioengineering and UPMC-Hillman Cancer Center. Chronic brain implants are long-term devices used to record brain activity or stimulate neurons with electrical pulses and are a crucial component of neuroprosthetics. The performance of these devices depends on the host tissue response, which is often inflammatory and results in device performance degradation. 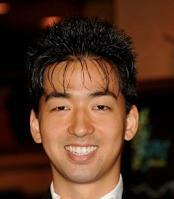 McGowan Institute for Regenerative Medicine affiliated faculty member Takashi Kozai, PhD, assistant professor of bioengineering at the University of Pittsburgh Swanson School of Engineering, was awarded an NIH R21 grant to improve device design by investigating the role of oligodendrocytes and oligodendrocyte progenitor cells in this process. Dr. Kozai will work with Franca Cambi, MD, PhD, professor of neurology at Pitt, to develop in vivo imaging technology that will explore how these cells cause negative tissue response to chronic brain implants. Supported by the NIH’s National Institute of Neurological Disorders and Stroke, Drs. 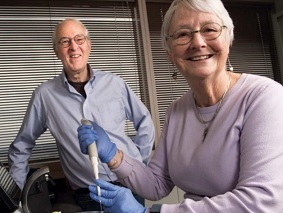 Kozai and Cambi received a two-year, $386,645 award for their research. Dr. Kozai and his collaborators recently published work that reveals the importance of the brain’s glial cells. Oligodendrocytes and oligodendrocyte progenitor cells (OPCs) are a type of glia or connective tissue in the central nervous system that play an important role in brain injury and neuronal activity, including the body’s response to brain implants. Oligodendrocytes are crucial for normal signaling in the brain. They produce proteins that help neurons grow, form synapses, and may even help neurons survive traumatic injuries. They play a key role in myelination, a process where oligodendrocytes wrap a fatty substance around the neuron’s axon to help insulate electrical signals and allow neural signals to move more rapidly. “Because the oligodendrocytes provide growth factors and support for neurons, the idea is maybe if we can help to oligodendrocytes to survive after injury, they can, in turn, help the neurons to survive,” said Dr. Kozai. By using in vivo imaging techniques like multiphoton imaging and pinpointing brain injury using neural engineering technology, Drs. Kozai and Cambi can map out the spatiotemporal relationships between oligodendrocyte loss, neuronal cell death, and OPC tissue repair and identify targets for intervention strategies, not just for brain implants, but also many neurodegenerative diseases. Stress hormones can save lives or take them. Released during an emergency or in pressure situations, stress hormones can gang up with white blood cells to fight infections or lead to heart attacks. 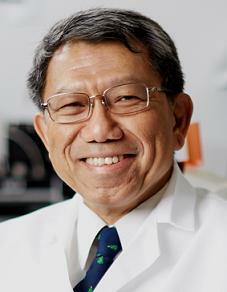 New research published in the journal Immunity from members of the University of Pittsburgh School of Medicine including McGowan Institute for Regenerative Medicine affiliated faculty members Mauricio Rojas, MD, and Kang Kim, PhD, shows that white blood cells, which typically heal infections and injuries, can become overactive and cause inflammation in plaques in blood vessels, making them vulnerable to rupture and hemorrhage in people with diabetes. “If the rupture occurs in the coronary artery, the person has a heart attack. If the rupture occurs in the carotid artery, it causes a stroke,” said Partha Dutta, DVM, PhD, assistant professor of medicine at Pitt’s School of Medicine. Studying patients and mice with diabetes, Dr. Dutta and his team found that when the fight-or-flight response is triggered, it also triggers the over-production of fighting white blood cells, or leukocytes. 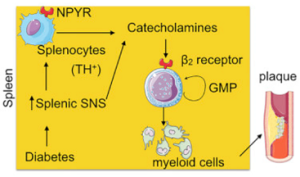 They also showed for the first time that stress hormones, called catecholamines, are produced in the spleen by a sub-group of white blood cells. Previous studies have shown that they were produced only by the sympathetic nervous system. “The findings suggest that diabetic patients could be treated with beta 2 blockers to reduce the number of inflammatory myeloid cells that cause plaque to rupture,” said Dr. Dutta, the senior author of the study. “If patients are on beta 2 blockers, the spleen will still be making the myeloid cells necessary to fight infection, but in smaller amounts. Dr. Rojas is an Associate Professor and Scientific Director of the Simmons Center for Interstitial Lung Diseases at the University of Pittsburgh. Dr. Kim is an Associate Professor of Medicine and of Bioengineering at the University of Pittsburgh and the Heart and Vascular Institute, UPMC. Intracerebral implantation of cell suspensions is finding its clinical translation with encouraging results in patients with stroke. However, the survival of cells in the brain remains poor. Although the biological potential of neural stem cells (NSCs) is widely documented, the biomechanical effects of delivering cells through a syringe-needle remain poorly understood. We here detailed the biomechanical forces (pressure, shear stress) that cells are exposed to during ejection through different sized needles (20G, 26G, 32G) and syringes (10, 50, 250 μL) at relevant flow rates (1, 5, 10 μL/min). A comparison of 3 vehicles, Phosphate Buffered Saline (PBS), Hypothermosol (HTS), and Pluronic, indicated that less viscous vehicles are favorable for suspension with a high cell volume fraction to minimize sedimentation. Higher suspension viscosity was associated with greater shear stress. Higher flow rates with viscous vehicle, such as HTS reduced viability by ~10% and also produced more apoptotic cells (28%). At 5 μL/min ejection using a 26G needle increased neuronal differentiation for PBS and HTS suspensions. These results reveal the biological impact of biomechanical forces in the cell delivery process. Appropriate engineering strategies can be considered to mitigate these effects to ensure the efficacious translation of this promising therapy. More than one in 10 children hospitalized with sepsis die, but when a series of clinical treatments and tests is completed within an hour of its detection, the chances of survival increase considerably, according to a new analysis led by the University of Pittsburgh School of Medicine and co-authored by McGowan Institute for Regenerative Medicine affiliated faculty member Derek Angus, MD, MPH. Dr. Angus is Chair of the Department of Critical Care Medicine of both the University of Pittsburgh School of Medicine and the UPMC Healthcare System. The results, published in the Journal of the American Medical Association, support an initially controversial New York mandate established after 12-year-old Rory Staunton died from undiagnosed sepsis in 2012 following an infection from a scrape. These results will likely encourage the mandate’s expansion to other states. Sepsis is a condition that arises when the body’s response to an infection injures its own tissues and organs. Children with sepsis deteriorate particularly quickly – looking relatively healthy one moment and needing life support within hours. Rory’s Regulations require New York hospitals to follow protocols regarding sepsis treatment and submit data on compliance and outcomes. The hospitals can tailor how they implement the protocols but must include a blood culture to test for infection, and administration of antibiotics and fluids within an hour to any child suspected of sepsis. Dr. Seymour and his team analyzed the outcomes of 1,179 children with sepsis reported at 54 New York hospitals. The children had an average age of just over 7 years, and 44.5 percent were healthy before developing sepsis. A total of 139 patients died. Completion of the sepsis protocol within one hour decreased the odds of death by 40 percent. When only parts of the protocol were completed within an hour – for example, giving fluids but not testing for infection or giving antibiotics – the patients did not fare better. The finding held only if the entire protocol was completed in an hour. The researchers note that testing the sepsis protocol in a future randomized clinical trial will be very difficult. Such work would require leaving off some protocol elements for some septic children but not others in a random fashion – a design which would not currently align with the standard of care. But if more states adopt rules and regulations similar to New York’s, and also mandate data reporting, future work could expand on these results. 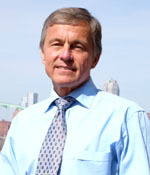 At the University of Pittsburgh, Dr. Angus holds the rank of Distinguished Professor and the Mitchell P. Fink Endowed Chair in Critical Care Medicine with secondary appointments in Medicine, Health Policy and Management, and Clinical and Translational Science and he directs the CRISMA Center. He also co-directs the UPMC ICU Service Center, responsible for the provision of ICU services across the 20-plus hospital system. Aging Cell’s Best Paper Prize for 2017 honored the efforts of numerous McGowan Institute for Regenerative Medicine affiliated faculty members. The paper entitled “Aging of the skeletal muscle extracellular matrix drives a stem cell fibrogenic conversion,” appeared in the June 2017 issue of Aging Cell. The prize is awarded annually by the Anatomical Society on the recommendation of the Editor-in-Chiefs to the Lead Author and Co-Authors and is awarded to the paper considered to be the most outstanding publication in Aging Cell in that year by either a member or non-member of the Society. Student authors include Drs. Kristen M. Stearns-Reider (formerly in Dr. Ambrosio’s lab and now at University of California, Los Angeles) and Alkiviadis Tsamis (formerly of Carnegie Mellon University and Pitt). Age‐related declines in skeletal muscle regeneration have been attributed to muscle stem cell (MuSC) dysfunction. Aged MuSCs display a fibrogenic conversion, leading to fibrosis and impaired recovery after injury. Although studies have demonstrated the influence of in vitro substrate characteristics on stem cell fate, whether and how aging of the extracellular matrix (ECM) affects stem cell behavior has not been investigated. Here, we investigated the direct effect of the aged muscle ECM on MuSC lineage specification. Quantification of ECM topology and muscle mechanical properties reveals decreased collagen tortuosity and muscle stiffening with increasing age. Age‐related ECM alterations directly disrupt MuSC responses, and MuSCs seeded ex vivo onto decellularized ECM constructs derived from aged muscle display increased expression of fibrogenic markers and decreased myogenicity, compared to MuSCs seeded onto young ECM. This fibrogenic conversion is recapitulated in vitro when MuSCs are seeded directly onto matrices elaborated by aged fibroblasts. When compared to young fibroblasts, fibroblasts isolated from aged muscle display increased nuclear levels of the mechanosensors, Yes‐associated protein (YAP)/transcriptional coactivator with PDZ‐binding motif (TAZ), consistent with exposure to a stiff microenvironment in vivo. Accordingly, preconditioning of young fibroblasts by seeding them onto a substrate engineered to mimic the stiffness of aged muscle increases YAP/TAZ nuclear translocation and promotes secretion of a matrix that favors MuSC fibrogenesis. The findings here suggest that an age‐related increase in muscle stiffness drives YAP/TAZ‐mediated pathogenic expression of matricellular proteins by fibroblasts, ultimately disrupting MuSC fate. Illustration: Cytoskeletal phenotype of young and old skeletal muscle fibroblasts. Aging Cell. 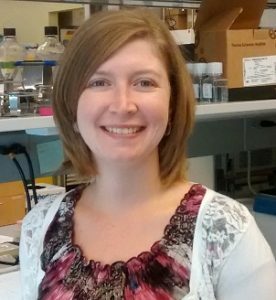 The American Society for Artificial Internal Organs (ASAIO) selected Alexandra May, a chemical engineering graduate student at the University of Pittsburgh, as a finalist for the Willem Kolff Award at its 64th annual meeting. The award, named after the late Dutch physician who invented the original artificial kidney, recognizes the top abstracts at each annual meeting. Ms. May is a graduate student in the Swanson School of Engineering’s Cardiovascular Bioengineering Training Program and works in the Medical Devices Laboratory under the direction of McGowan Institute for Regenerative Medicine faculty member William Federspiel, PhD, a William Kepler Whiteford Professor of Bioengineering at Pitt. The lab develops clinically significant devices for the treatment of pulmonary and cardiovascular ailments by utilizing engineering principles of fluid flow and mass transfer. Ms. May’s research focuses on the development of the Pittsburgh Pediatric Ambulatory Lung (P-PAL), an artificial lung device developed to bridge pediatric acute or chronic lung failure patients to transplant. The P-PAL integrates the blood pump and gas exchanging hollow fiber membrane bundle into a single compact unit and provides 70 percent to 90 percent of the patient’s oxygenation needs. The compact design of the P-PAL provides children with increased mobility pre-transplant, a factor which has been shown to improve post-transplant outcomes. 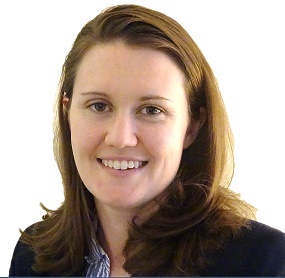 The ASAIO Annual Meeting was held June 13-16, 2018, in Washington, D.C. Ms. May’s abstract titled “Acute in vivo Performance of a Pediatric Ambulatory Artificial Lung” was awarded second place out of approximately 300 accepted abstracts, and she presented her work during the conference’s opening general session. Co-authors on the abstract include R. Orizondo, B. Frankowski, P. Wearden, and W. Federspiel. 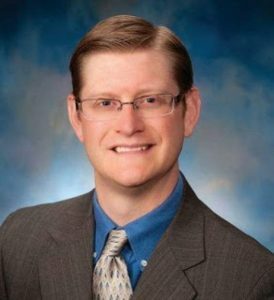 Peter Wearden, MD, PhD, congenital cardiothoracic surgeon and Department Chair, Division of Cardiovascular Surgery, Department of Cardiovascular Services at the Nemours Children’s Health System, Orlando, Florida, is an affiliated faculty member of the McGowan Institute. Illustration: The extracellular matrix is nature’s template for an ideal biomaterial to guide tissue homeostasis and repair. 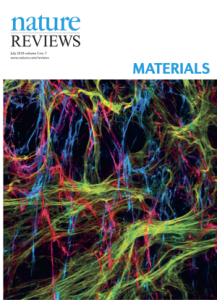 In this Review, matrix-mimicking biomaterials and decellularized matrices are discussed for their potential to reconstruct and repair tissues in vitro and in vivo. Image: Visuals Unlimited, Inc./Dr. Edna Cukierman. Duquesne University professor John Pollock, PhD, has received the Presidential Award for Excellence in Science, Mathematics and Engineering Mentoring to honor his career in educating students from universities to grade schools. 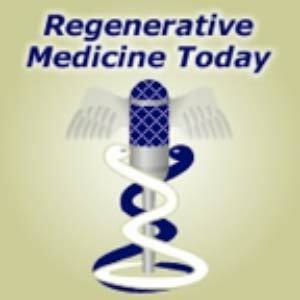 Dr. Pollock is an affiliated faculty member of the McGowan Institute for Regenerative Medicine. 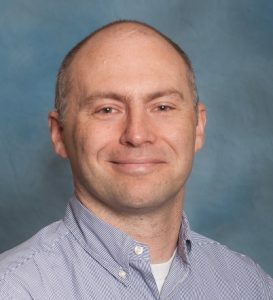 The White House Office of Science and Technology Policy (OSTP) and the National Science Foundation (NSF) announced that Dr. Pollock, along with 27 individuals and 14 organizations, was honored with presidential awards for their excellence in teaching or mentoring in science, technology, engineering and mathematics (STEM) fields. The award is the highest honor bestowed upon mentors who work to expand STEM talent, according to NSF. The awards committee noted Dr. Pollock’s 36-year career in teaching university courses in neuroscience and biology, conducting research while mentoring high school and college students and his work in developing educational and multimedia resources for school children, including Emmy® Award winning educational apps. Dr. Pollock has mentored more than 150 students, with about 25 percent from ethnic or racial groups who are underrepresented in STEM fields. Virtually all of his mentees have gone to pursue advanced degrees with many working in academia, industry and health care. In the community, he helped to start science summer camps for children from underserved areas, reads with 4- and 5-year old children weekly and serves museums in Pittsburgh and beyond. Dr. Pollock has also produced a wide range of educational resources, including museum and traveling exhibits and interactive software and video games for the classroom with pre-college scholars, undergraduate students and post-graduate student mentees. In addition to his teaching position, Dr. Pollock is co-director of Duquesne’s Chronic Pain Research Consortium and Director of the Partnership in Education, a STEM education and health literacy research group that has developed apps on topics including why we need sleep, sports-related concussions and health literacy for pediatric transplant patients. During a visit to the nation’s capital, Dr. Pollock received a presidential citation at an awards ceremony and participated in discussions on STEM and STEM education priorities at the White House State-Federal STEM Summit led by OSTP and NSF. He will also receive $10,000 from NSF, which manages the award program on behalf of the White House. McGowan Institute for Regenerative Medicine is pleased to announce that Catalina Pineda Molina, a doctoral student within the Bioengineering Department at the University of Pittsburgh and a graduate researcher in the laboratory of McGowan Institute Deputy Director Stephen Badylak, DVM, PhD, MD, will be awarded the 2018 Mary Ann Liebert, Inc. Outstanding Student Award during the upcoming 2018 TERMIS World Congress. The 2018 TERMIS World Congress is scheduled for September 4-7, 2018, and will be held in Kyoto, Japan. Ms. Molina’s award-winning manuscript will be published in the journal, Tissue Engineering, Part A. Her research interests are focused on the immune-modulatory effects of adipose derived stem cells used in combination with extracellular matrix scaffolds for regenerative medicine applications. At the award presentation ceremony, Ms. Molina will be presented with a plaque recognizing her outstanding research accomplishments within the tissue engineering and regenerative medicine field. 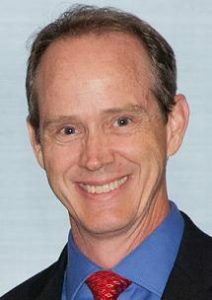 #185 –– Dr. David Vorp discusses his research in designing a small diameter tissue-engineered vascular graft to treat cardiovascular diseases. #186 –– Dr. Lauren Black discusses his research in designing and developing new methods for repairing diseased or damaged myocardium. He also discuses his work with the Journal of Immunology and Regenerative Medicine. Summary: Opacification of the ocular lens, termed cataract, is a common cause of blindness. To become transparent, lens fiber cells undergo degradation of their organelles, including their nuclei, presenting a fundamental question: does signaling/transcription sufficiently explain differentiation of cells progressing toward compromised transcriptional potential? We report that a conserved RNA-binding protein Celf1 post-transcriptionally controls key genes to regulate lens fiber cell differentiation. Celf1-targeted knockout mice and celf1-knockdown zebrafish and Xenopus morphants have severe eye defects/cataract. Celf1 spatiotemporally down-regulates the cyclin-dependent kinase (Cdk) inhibitor p27Kip1 by interacting with its 5′ UTR and mediating translation inhibition. Celf1 deficiency causes ectopic up-regulation of p21Cip1. Further, Celf1 directly binds to the mRNA of the nuclease Dnase2b to maintain its high levels. Together these events are necessary for Cdk1-mediated lamin A/C phosphorylation to initiate nuclear envelope breakdown and DNA degradation in fiber cells. Moreover, Celf1 controls alternative splicing of the membrane-organization factor beta-spectrin and regulates F-actin-crosslinking factor Actn2 mRNA levels, thereby controlling fiber cell morphology. Thus, we illustrate new Celf1-regulated molecular mechanisms in lens development, suggesting that post-transcriptional regulatory RNA-binding proteins have evolved conserved functions to control vertebrate oculogenesis. Source: PLoS Genet. 2018 Mar 22;14(3):e1007278. eCollection 2018 Mar.